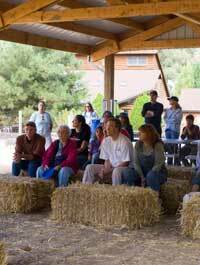 We offer a variety of tours at the 600-acre sanctuary in Grass Valley, California. 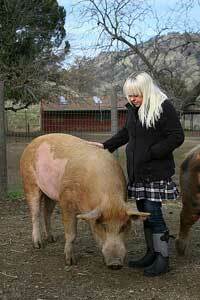 Our 60-acre Rescue Ranch, A Project of Animal Place facility in Vacaville, California is not open to the public. **Currently closed for guided tours – you can set up a PRIVATE tour or come for a self-guided tour. If we are able to schedule public guided tours in the winter, we will update this. You’ll get to rub the pigs bellies, cavort with the goats and hang out with the chickens and turkeys. You will also learn detailed stories of the animals along with information on how you can make a positive difference in their lives. Tours last two hours and entail a lot of walking on flat ground. The facility is wheelchair accessible, although there are some rocky portions of the property. There are picnic spots available for after the tour. All food must be vegan: Please respect the animals at the sanctuary by not bringing meat (including chicken and fish), dairy (milk, cheese, etc), eggs or honey onto the property. Peanut butter sandwiches, hummus, beans, green salads, fruits and veggies are a few suitable alternatives. You must wear long-pants and closed-toed shoes. We share the property with wildlife, including rattlesnakes. Closed toed shoes provide added protection when interacting directly with the large animals. We do private tours with a donation of $150 or more (tour groups with more than 10 people may be higher). Whenever possible, please consider signing up for a scheduled guided tour. Visitor dogs are not permitted. This is for their safety and that of the animals. Please leave companion dogs at home. 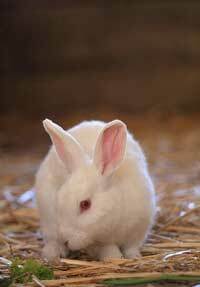 Animal Place welcomes drop-in visitors Mondays through Saturdays from 10:00-4:00 pm. Year-round. Check-in at the education center (the white house) for a map of the property and picnic spots. You will not have direct contact with the animals. You might see the animals grazing or lounging about, but for safety and liability reasons, you cannot enter their pastures (for a more intimate tour, please see Guided Tours above). All food must be vegan: Please respect the animals at the sanctuary by not bringing meat, dairy (milk, cheese, yogurt), eggs or honey onto the property. Peanut butter sandwiches, hummus, beans, green salads, fruits and veggies are a few suitable alternatives. Clothing Recommendation: We share the property with native predators, including rattlesnakes. Our recommendation is to wear closed-toed shoes. You should remain on the designated paths and not wander into tall grasses or rocky areas. We encourage the promotion of humane education and to facilitate that offer school groups the opportunity to visit our sanctuary. Tours are generally two hours long. Currently, we are offering tours for ages 12 and older but as we expand our program, that will certainly change. 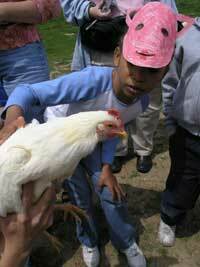 We ask for a donation of $3-5/child and require a chaperone:child ratio of 1:5. Children get the opportunity to interact directly with the animals at the sanctuary, learn how they are housed, fed and cared for and also from where they came. We do promote veganism in a gentle, compassionate manner. Picnic spots are available. All food brought on sanctuary grounds must be vegan. This includes no meat, dairy (milk, cheese, yogurt), eggs and honey. Peanut butter sandwiches, hummus, beans, green salads, fruits and veggies are a few suitable alternatives. This is out of respect for the animals at the sanctuary, most of whom would have been killed for consumption if Animal Place had not been there for them. To request further information about school tours, please fill out the information form here. Learning about farmed animals in a sanctuary setting is a unique opportunity for students studying agriculture or environmental sciences. The life of sanctuary animals is far different than animals raised on most farms in the country. Offering another perspective is an integral aspect of learning and critical thinking. 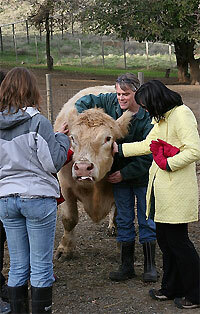 Students get an opportunity to interact directly with many of the animals at the sanctuary. They will learn the animals? histories along with current housing, medical treatment and care for the animals. There are picnic spots available for after the tour. All food brought on sanctuary grounds must be vegan. This includes no meat, dairy (milk, cheese, yogurt), eggs and honey. Peanut butter sandwiches, hummus, beans, green salads, fruits and veggies are a few suitable alternatives. This is out of respect for the animals at the sanctuary, most of whom would have been killed for consumption if Animal Place did not exist. Tours last two hours. We ask for a donation of $5/student. To request further information about school tours, please email Marji Beach, Education Director. We offer private tours year-round. There is no minimum number of people required to attend a private tour, however a minimum donation of $150 is required for a tour up to 10. Private tours last 2 hours. To inquire about a private tour, please email Marji Beach, Education Director.